The Kellogg Community College Police Academy will again join area police departments to participate in the annual Law Enforcement Torch Run this week to benefit Special Olympics Michigan. Registration for the 5K running event — which is open to all — is $25 and will begin at 7:45 a.m. Monday, Oct. 6, in front of the Miller Physical Education Building on KCC’s campus at 450 North Ave., Battle Creek, with the run beginning promptly at 8:30 a.m. This will be the third year that KCC has been a host location for the run. The run will be casually paced and run in formation from start to finish with KCC Police Academy students, finishing at Doris Klaussen Developmental Center, 408 Jameson St., Battle Creek, where participants will be greeted by several Special Olympians. Inline skaters and bicyclists are also welcome. Registration can also be complete online at www.firstgiving.com/somi/bc14. Registered participants will receive a dri-fit T-shirt. 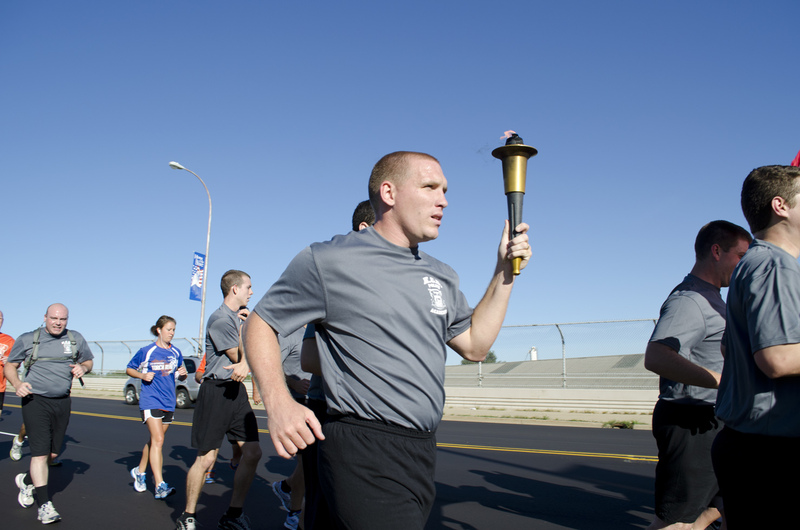 The Law Enforcement Torch Run is the single largest grassroots fundraising effort for Special Olympics International. Michigan’s Law Enforcement Torch Run program raises funds for 19,620 athletes who participate in Special Olympics Michigan. The two main goals of the Law Enforcement Torch Run are to raise funds and to create awareness for the athletes who participate in Special Olympics Michigan. As Michigan’s Special Olympics program continues to grow, more funding is needed to support the athletes and their families because there is no cost to participate. This is where the support of the law enforcement community becomes crucial. By getting more involved in Michigan’s Torch Run program you can help raise funds and create awareness for our athletes.